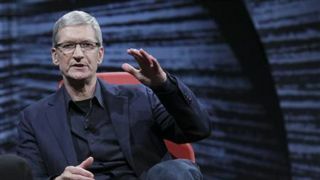 His predecessor was famous for spontaneous personal interactions with Apple fans, but since taking the reins at Cupertino, Tim Cook has kept a close counsel. However, the Apple CEO has taken his first steps towards becoming a more publicly accessible figure by sending out his first tweet on Friday while soaking up the excitement of the iPhone 5S and iPhone 5C releases. From the now verified @tim_cook account, he wrote: "Visited Retail Stores in Palo Alto today. Seeing so many happy customers reminds us of why we do what we do." The tweet had garnered almost 8,000 retweets at the time of writing. Could we be soon be seeing Cook quipping regularly with Apple loyalists? Probably not.